At the ACCC 45th Annual Meeting & Cancer Center Business Summit in Washington D.C., Michele Settelmyer, APN, MSN will share how OSF Healthcare implemented its high-risk screening and genetic counseling program into its community setting. The presentation will take place on Thursday, March 21, 2019. By using a simple tool that patients of all ages can complete on their own without disrupting workflow, you can identify all your high-risk patients. For example, OSF Healthcare implemented a cloud-based software solution that streamlined the risk evaluation process and automated the analysis of the patient’s risk using the latest recommended guidelines. If you’re currently using paper in the cancer risk assessment process, you likely have someone who is hand-grading family history forms to identify which patients meet criteria. This process can be tedious and is prone to human error. As well, that person likely has to constantly check the latest updates to the guidelines, which is one of three signs you may need a cancer risk assessment software. By hiring a nurse practitioner and putting them through comprehensive genetics training, you can better scale your genetic services. If your program is under pressure to keep patients moving through the appointment in a small amount of time, cancer risk assessment may be pushed aside. By combining the tech-enabled solution that helped identify all at-risk patients with bringing onboard a genetics-trained nurse practitioner, OSF Healthcare was able to flag high-risk patients in real time. Having dedicated staff and a tool to help optimize workflow is critical to scaling a successful cancer risk assessment program. 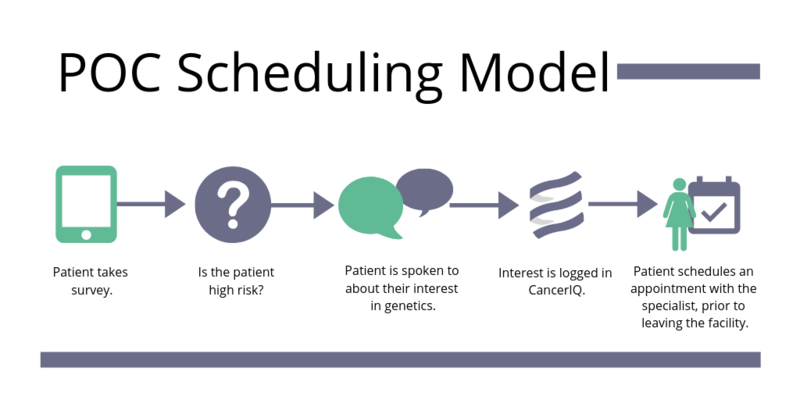 Here is one example of a simplified workflow for a point of care scheduling implementation model using software and a genetics-trained nurse. By using care management tools to follow up with patients over time, you improve patient outcomes and drive downstream revenue. 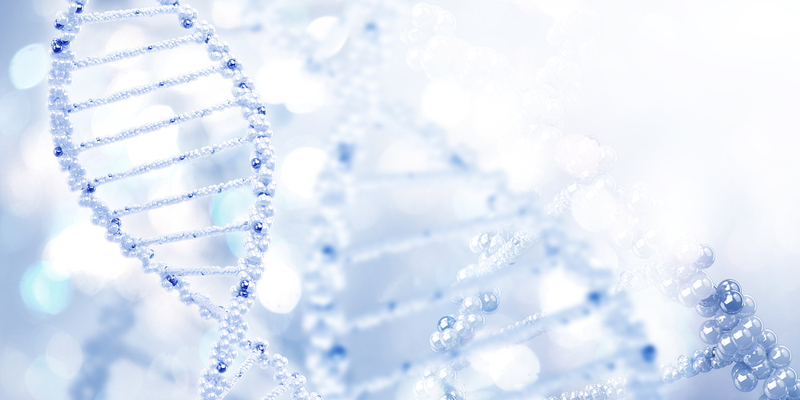 Once you implement your software solution to identify all patients and have scaled your genetic services, managing patient care plans over time is crucial realizing the incremental downstream revenue opportunities. In the case of breast centers and cancer centers, preventative services may include general patient visits, breast MRIs, increased number and frequency of screenings, and prophylactic surgeries. We don’t want to spoil too much of Michele’s talk, so we’ll share a similar story from the Advisory Board on how one cancer center improved access to genetic counseling, and saw 40 percent more patients and an increase on downstream revenue. If you think your hereditary cancer risk assessment program could use some help, we recommend coming to Michele’s talk. Immediately following the presentation, you will have the chance to network with your peers and participate in a Q&A session with Michele. To attend the networking and Q&A session, register here to reserve your spot. At CancerIQ, we're dedicated to making it easier for providers to offer cancer risk assessment to every patient that walks through the door. This starts with practical implementation methods and tools (like CancerIQ)! On our blog, we'll offer best practices and advice on how to streamline your cancer risk assessment program. Copyright © 2018 CancerIQ, Inc. All Rights Reserved.